The Blue Angels Squadron is set for a major upgrade following a $17 million contract award, reports USNI.org. Boeing will retrofit nine Block 1 F/A-18E Super Hornets and two Block 1 F/A-18F Super Hornets from the current crop of F/A-18C/D fighters. 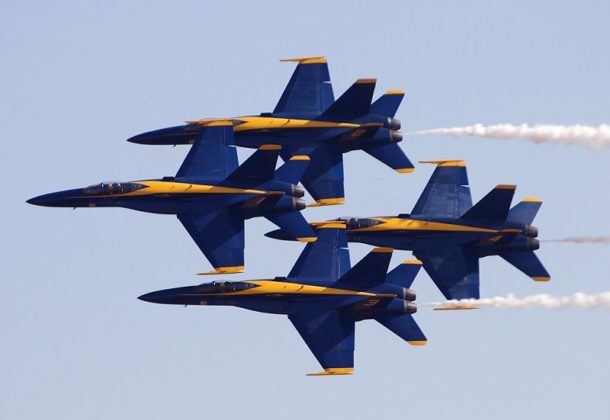 Typically the squadron has a total of 11 fighters, according to the Navy’s Blue Angel’s “faq” page. President Donald Trump says he reserves the right to ignore the defense authorization law’s ban on US recognition of Russian sovereignty over Crimea, among 50 other provisions he says tread on his authority as president, reports Defense News. Trump objected to four of eight provisions focused on Russia. The $717 billion defense policy bill signed by Trump this week restricts efforts to reduce US troop numbers in South Korea below 22,000 unless the defense secretary has certified that it’s in the “national security interest” and that the secretary has “appropriately consulted” with regional allies, reports Stars and Stripes. An augmented-reality cockpit could enable fighter pilots of the future to become air battle-space managers, Aviation Week reports, although room for all the data might pose a problem. A Senate proposal to secure the US election system has a companion bill in the House and a prominent Republican co-sponsor, reports FCW. The Secure Elections Act would authorize block grants for states to upgrade voting machines and other equipment, allow Homeland Security to more quickly share election cybersecurity threat information with state and local governments, and streamline the security clearance process for state and local election officials. At the annual hacker conference DefCon, an 11-year-old boy from Austin, TX, was able to change the results on a mock Florida election website, reports Defense One. It took him 10 minutes. The Transportation Security Administration will continue to expand 3-D baggage scanning and credential authentication technologies in the coming year, FCW reports. The CT X-ray capabilities can identify threats in finer detail and possibly eliminate the need for passengers to take out liquids and electronics from their carry-on luggage. Turkey doubled tariffs on some US imports including alcohol, cars and tobacco in retaliation of US tariffs and other diplomatic issues, reports Reuters. Amid increased tension between the two NATO allies, Turkey’s Gulf ally Qatar pledged $15 billion of investment into the Turkish economy, providing further support to a lira rally after the central bank tightened liquidity and curbed selling of Turkey’s currency. Tech magnate Elon Musk vows to send SpaceX’s first astronauts into orbit on schedule next year, reports PHYS.org. An unmanned flight to the International Space Station in November would pave the way for a manned mission in April 2019, the flights to the ISS will be the first leaving US soil to put people into orbit since the iconic space shuttle program ended in 2011. NASA’s Opportunity rover has had an incredible career already, spending years upon years studying the Martian surface and proving to be an incredibly reliable and hardy piece of hardware. BGR reports that unfortunately, a NASA dust storm that began kicking up in May may have abruptly ended its historic run. In mid-June, the solar-powered Opportunity ran out of juice and was forced to go into its dormant standby mode. The dust storm which swallowed the entirety of Mars had blocked out the Sun, cutting the rover’s only available source of power. A former officer of the submarine Alaska has been convicted of using a cellphone to secretly record others before broadcasting the footage, reports the Navy Times. Lt. Cmdr. Bryan P. Watson was fired as the blue crew executive officer of the Georgia-based boat in July 2017, for what officials said at the time was preliminary results of a Naval Criminal Investigative Service investigation. Newport News gears up for a lengthy overhaul of the carrier John C. Stennis, reports Defense News. Huntington Ingalls won the $187.5 million contract for advanced planning to support the Stennis’ refueling and complex overhaul, which includes engineering, design, material procurement and fabrication, documentation, resource forecasting, and pre-overhaul inspections. Florida declares a state of emergency from red tide blooms plaguing the coastline, reports CNN. The algae toxins can cause coughs and other respiratory distress as breezes blow them inland and people have reported respiratory irritation in several counties. The fast-growing algae colonies have lasted nine months and are devastating marine life. Chemring Sensors and Electronic Systems Inc., Dulles, Virginia, was awarded a $92,556,056 firm-fixed-price contract to procure Husky Mounted Detection System systems, spare and repair parts. One bid was solicited with one bid received. Work locations and funding will be determined with each order, with an estimated completion date of Aug. 15, 2022. U.S. Army Contracting Command, Aberdeen Proving Ground, Maryland, is the contracting activity (W909MY-18-D-0014). Whiting Turner Contracting Co., Baltimore, Maryland, was awarded a $15,797,463 firm-fixed-price contract for design and build construction requirement for renovation services to Intelligence Community Campus Bethesda. One bid was solicited with one bid received. Work will be performed in Bethesda, Maryland, with an estimated completion date of Aug. 19, 2021. Fiscal 2018 operations and maintenance Army funds in the amount of $15,797,463 were obligated at the time of the award. U.S. Army Corps of Engineers, Baltimore, Maryland, is the contracting activity (W912DR-18-F-0418). AASKI Technology Inc., Ocean, New Jersey, was awarded an $11,855,640 modification (BM01 08) to contract W15P7T-10-D-D421 for personnel, equipment, supplies, facilities, transportation, tools, materials, supervision, and other items and non-personal services necessary to perform Department of the Army G-3 Operations Readiness and Mobilization Support. Work will be performed in Crystal City, Virginia, with an estimated completion date of Aug. 31, 2019. Fiscal 2018 operations and maintenance Army funds in the amount of $11,855,640 were obligated at the time of the award. U.S. Army Contracting Command, Aberdeen Proving Ground, Maryland, is the contracting activity. Science Applications International Corp., McLean, Virginia, is awarded a $50,000,000 modification to previously awarded firm-fixed-price, indefinite-delivery/indefinite-quantity contract (M67485-14-D-4802) for a 24-month bridge contract to continue the support services for post-deployment software support, engineering change proposals, and software upgrades of the portfolio of information technology systems for the Marine Corps System Command, Program Manager, Applications. Work will be performed in Quantico, Virginia, and is expected to be completed by Aug. 14, 2020. No funds will be obligated at the time of award. Subsequent funding will be applied to future task orders as they are issued. This bridge contract was not competitively procured and was prepared in accordance with Federal Acquisition Regulation 6.302-1 -only one responsible source and no other supplies or services will satisfy requirements” and 10 U.S. Code 2304(c)(1). The Marine Corps System Command, Quantico, Virginia, is the contracting activity. Manufacturing Techniques Inc.,* Kilmarnock, Virginia, is awarded a $47,462,100 multiple award, indefinite-delivery/indefinite quantity contract, with a five-year ordering period cost-plus-fixed-fee completion and level-of-effort, and firm-fixed-price delivery orders to provide for rapid prototype development, hardware fabrication, hardware and software for prototype or prototype pre-production units and kits in support of the battle management systems, amphibious assault vehicle projects, manned and unmanned platform integration and robotic systems, and weapon control systems development. Specific tasking includes engineering design, development, testing and systems/platform integration associated with the prototype deliverables. The program is in support of the platform integration division (H40) of the Naval Surface Warfare Center, Dahlgren Division. This contract does not include options. Work will be performed in Kilmarnock, Virginia, and is expected to be completed by August 2023. Fiscal 2018 procurement defense agencies funding in the amount of $186,802 will be obligated on the first delivery order at time of award and will not expire at the end of the current fiscal year. This contract was competitively procured via the Federal Business Opportunities website, with two offers received. The Naval Surface Warfare Center, Dahlgren Division, is the contracting activity (N00178-18-D-4006). Hart Technologies Inc.*, Manassas, Virginia, is awarded a $47,462,100 multiple award indefinite-delivery/indefinite-quantity contract with a five-year ordering period cost-plus-fixed-fee completion, level-of-effort, and firm-fixed-price delivery orders to provide for rapid prototype development, hardware fabrication, hardware and software for prototype or prototype pre-production units and kits in support of the battle management systems, assault amphibious vehicle projects, manned and unmanned platform integration and robotic systems, and weapon control systems development. Specific tasking includes engineering design, development, testing, and systems/platform integration associated with the prototype deliverables. Work will be performed in Manassas, Virginia, and is expected to be completed by August 2023. Fiscal 2018 defense procurement funding in the amount of $11,783 will be obligated on the first delivery order at the time of award and will not expire at the end of the current fiscal year. This contract was competitively procured via the Federal Business Opportunities website, with two offers received. 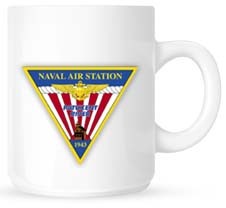 The Naval Surface Warfare Center, Dahlgren Division, Virginia, is the contracting activity (N00178-18-D-4005). Butler Parachute Systems Inc., Roanoke, Virginia, has been awarded a $41,200,000 ceiling, firm-fixed price, single award, indefinite-delivery/indefinite-quantity contract for low-profile back-mounted parachutes for low-speed bailout. This contract provides for the manufacture and delivery of commercial-off-the-shelf back-mounted parachutes to be used for the purpose of low-speed bailout. Work will be performed in Roanoke, Virginia, and is expected to be completed by Aug. 14, 2023. This award is the result of a sole-source acquisition and one offer was received. No funds will be obligated at the time of award. Fiscal 2016 “other procurement” funds in the amount of $5,482,917 will be obligated on the first delivery order, which will be awarded concurrently to the base indefinite-delivery/indefinite-quantity contract. Air Force Life Cycle Management Center, Wright-Patterson Air Force Base, Ohio, is the contracting activity (FA8606-18-D-0011).